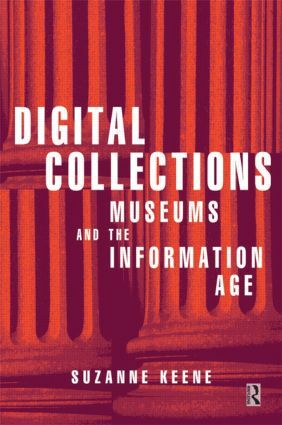 Suzanne Keene's pioneering book shows how museums and other cultural organizations fit into the new world of information and electronic communications and, most importantly, how they can take advantage of what it has to offer. By using new technology museums can build knowledge bases around information about collections. A collection object can be the central link for information about past and present, places, people and concepts, technologies, ways of working and evidence of the natural world. 'Digital Collections' explains how this vision can be realized. Sound, video and animations can be digitized and developed as a central resource that can be drawn on for many varied access routes: via the World Wide Web; CD ROMs; through on-gallery screens, and other future products still in development. Suzanne Keene is a senior manager of museum collections and information at the Science Museum, London. She led the UK LASSI project to select a collections information system for UK museums. This, with her experience in directing information technology and multimedia projects, means that she is accustomed to translating the highly technical concepts of information technology into high level issues for senior and strategic management. What's happening? ; Electronic opportunities; Museum collections functions digitized; Building the digital collection; Standards and choice; Making multimedia: a whirlwind tour; Let's hear it from our users: design and evaluation; Digits and people; The wide, wide world; A crystal ball. Appendix. Explanations. Sources and further reading. Index.